The official body (Local Authority, e.g Transport for London) for the offence will trace the registration of the vehicle to Easirent. Our dedicated PCN team will identify who was in possession of the vehicle at the time of the offence and pass your details (Name, Address, Telephone number, Driving licence, etc) to the relevant authority. An email will be sent out to the address we have on file notifying you that we have passed on your details to the issuing body with a copy of the ticket as proof. The best way to avoid getting a PCN or offence during your hire is by driving carefully and safely, taking in all road signs and parking notices, and obeying British Driving laws. 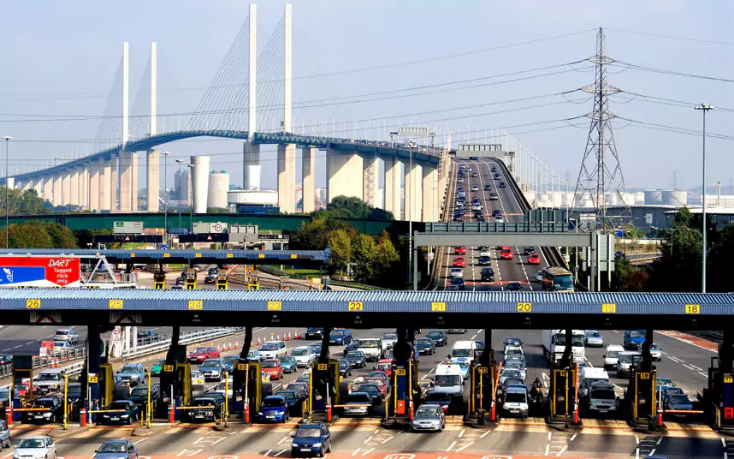 The Dartford Crossing consists of two tunnels on the eastern section of the M25 near London. Until 2014, drivers passing through the crossing (either through a tunnel or over a bridge) had to stop at a toll booth and pay the fee. With 136,000 cars a day using the crossing, this could result in huge delays – particularly during rush hour and other peak times. A solution was introduced in November 2014. The new Dart Charge saw the toll booths being abolished, requiring drivers to go online or phone up to pay the toll. Automatic number plate recognition (ANPR) technology is used to monitor crossings. The charges for single journeys can be paid up to 12 months in advance or by midnight the day after you cross. 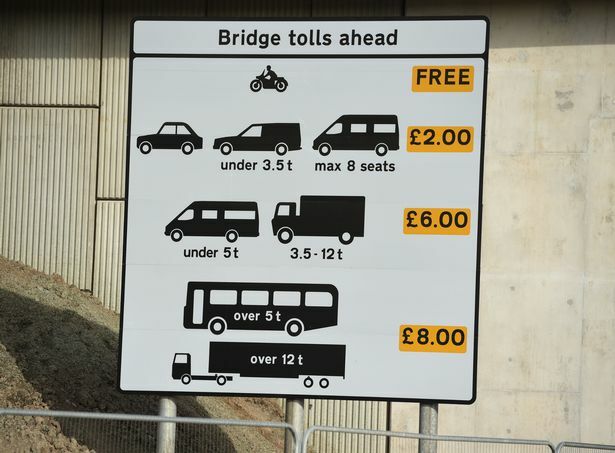 The fees only apply between 6am and 10pm – if you cross overnight, you don’t have to pay. Do note, however, unlike London’s Congestion Charge, the Dart Charge applies seven days a week, including Christmas Day and other bank holidays. If you fail to pay for your travel by midnight the day after you cross, then Easirent will charge the fine received from Dart Charge PLUS an admin fee of £55 per violation. We pay the Dartford penalty straight away on your behalf in order for the price not to increase. See here for more information. 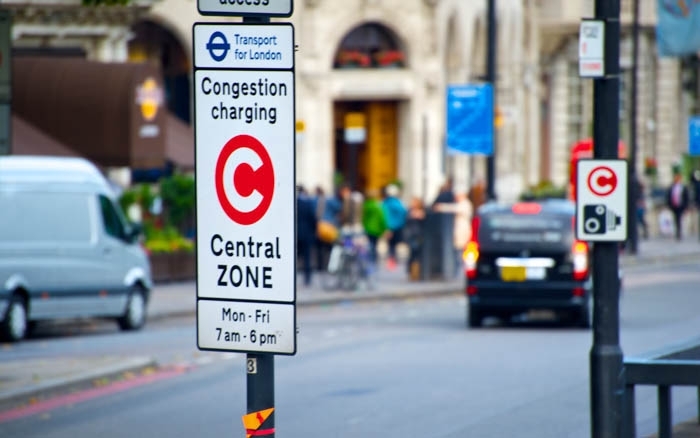 The Congestion Charge is an £11.50 daily charge for driving a vehicle within the charging zones in London City Centre between 07:00 and 18:00, Monday to Friday. There is no charge on weekends, public holidays, between Christmas Day and New Year’s Day inclusive, or between 18:00 and 07:00 on weekdays. Traffic signs and road markings make it clear when you are approaching, entering, and leaving the charging zone. Examples can be found at tfl.gov.uk. The best way to pay for using the congestion zone is online but if you have failed to do this then Easirent (having received the penalty) will charge your card for the cost of £65 plus the £55 admin fee. 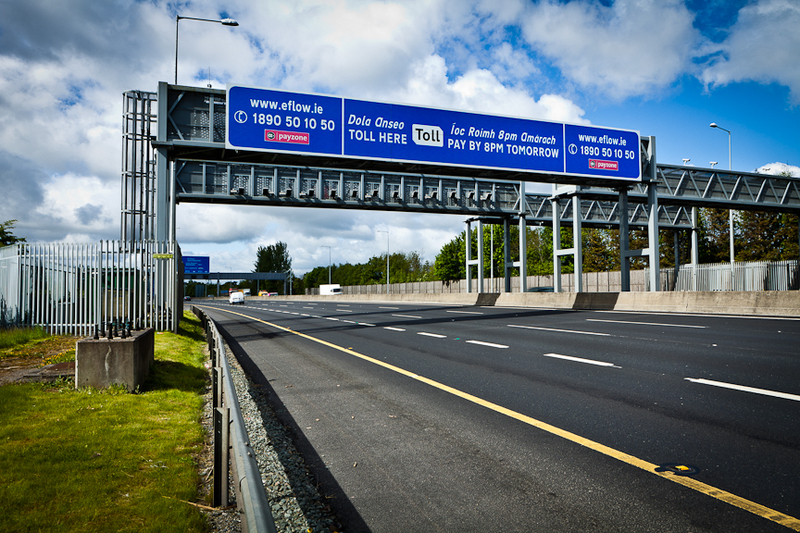 If travelling in Ireland, the M50 toll road is a section of the M50 motorway. Instead of a conventional barrier toll plaza, drivers pass beneath overhead cameras, which use advanced vehicle recognition technology to record number plates. This system is operated by eFlow. If you use this section of the motorway and have not gone online, called up or visited a local payment point to pay for your crossing before 8pm the day after use then the fine will come to Easirent. For our customers’ convenience, we have an account with eFlow which means that if a crossing isn’t paid for, Easirent will charge only one admin fee of €10 plus €3.10 each time you use the crossing. You can visit here for more detailed information. During your hire, you may need to use a private car park that requires you to Pay and Display. Parking Eye are one of the largest companies who run these car parks and if you use one without paying, a fine will be due. Using ANPR cameras at the entrances and exits, Parking Eye issues fines on the basis of a contract with the motorist, which is set out via the signage at the site. If, for example you are staying at a hotel and fail to register your number plate at the front desk, they have the right to charge you for using their car park overnight without paid permission. Always CHECK YOUR REG! Many fines can be avoided by motorists simply making sure the numbers and letters are correctly given to the hotel. Capital ‘o’ or a zero? The number ‘1’ or an ‘i’? Be 100% sure when leaving your hire car’s registration plate number anywhere. 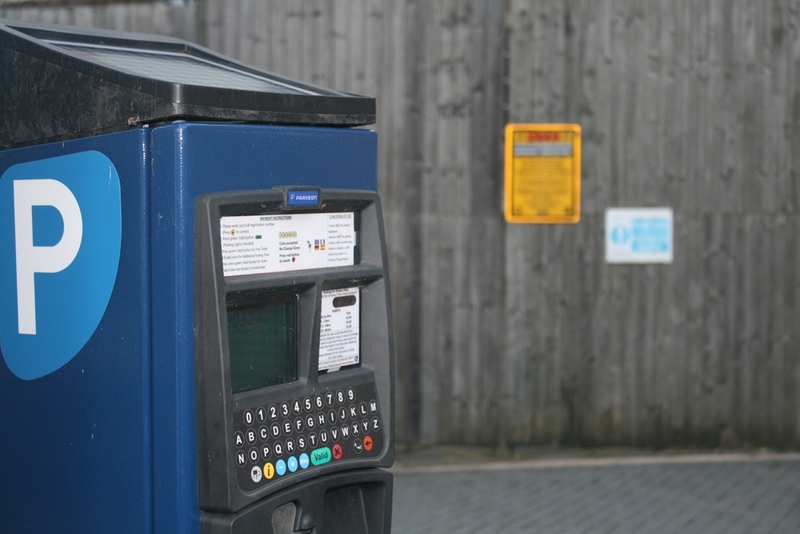 Many people are under the misconception that an FPN (issued by a privately owned car park) is different to a PCN (issued by the government) and believe they can simply not pay for a parking ticket. This is incorrect, and although Easirent will only take the cost of the admin fee, it remains your responsibility to pay the FPN we pass to you. The same applies to PCNs such as exceeding the speed limit, entering a bus lane, stopping on a red route, etc. The new Mersey Gateway Bridge is now operational (previously known as the Runcorn-Widnes Bridge). The bridge opened 14th October as a new six-lane toll bridge over the Mersey between the towns of Runcorn and Widnes. Both the new Mersey Gateway Bridge and the Silver Jubilee Bridge will be tolled at £2.00 per journey, but if you will be regularly using the bridge then you can purchase a monthly pass by successfully registering with Merseyflow. You have to go online to pay for your toll and there are signs along the bridge notifying you of how, where and when. If you have failed to pay for your crossing by the following day, Easirent will pay the fine on your behalf and charge you our admin fee of £55. What if it wasn’t me driving at the time? If you believe a PCN has been issued in error to your account, then we urge you to contact our PCN team as soon as possible by emailing PCN@easirent.com. I already paid for this charge, why am I being fined again? If you have already paid for the PCN that has been issued to your account, then we urge you to contact our PCN team as soon as possible by emailing PCN@easirent.com with a copy of your payment receipts. We will aim to get this resolved as quickly as possible once proof has been received. I want to dispute my PCN? If you think you have a good case for appealing your ticket, then you can find all the details on your ticket of how to go about this. Best practice is to visit the website of the issuing body (i.e tfl.gov.uk or eflow.ie) where you will find the detailed instructions on writing, calling or email your dispute. Easirent cannot assist with appealing a ticket for you. This page was last updated 3rd January at 11:42am. Prices listed are valid as of this date and are subject to change.